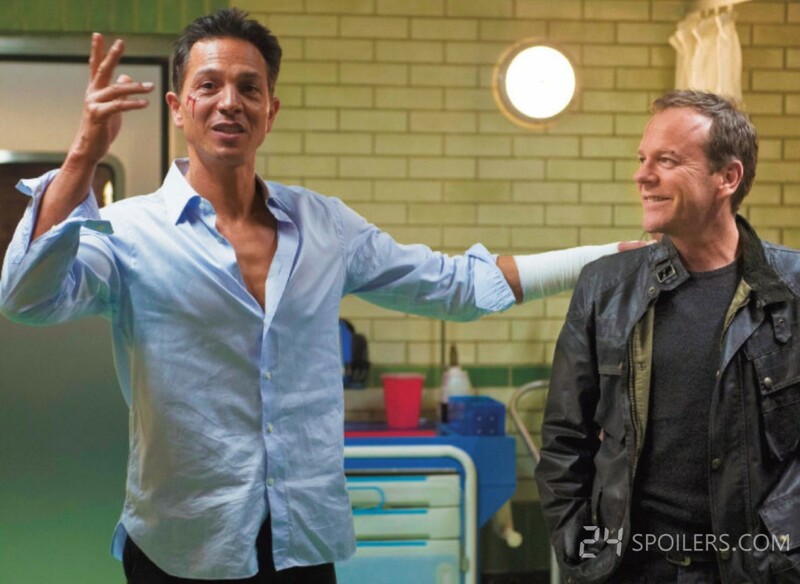 Benjamin Bratt and Kiefer Sutherland behind the scenes of 24: Live Another Day. Outing Bratt’s character as the mole was “100 percent brilliant, says Sutherland (with Bratt). “It’s not in Ben’s persona–he’s the nicest guy in the world. But he plays evil to the hilt.